The three episodes of Sherlock Series 2 were the three most-requested programmes on the BBC iPlayer for January 2012. In figures released for the January-April period, episode 1 – A Scandal In Belgravia – broadcast on New Year's Day was top with 2,528,000 requests, episode 3 – The Reichenbach Fall – shown on 15th January was second with 1,913,000 requests, and episode 2 – The Hounds of Baskerville – which aired on 8th January was third with 1,689,000. This meant that with A Scandal In Belgravia, Sherlock also had the most-requested episode per series that month, receiving more than twice as many as the second-placed Top Gear India Special of 28th December 2011 (included in January's figures with a figure of 1,116,000 requests, downgraded from the December 2011 figure of 1,311,000). The next most-requested episode of January 2012 – and next most-requested episode per series of January 2012 – was the New Year's Day edition of EastEnders, which received 1,097,000 requests. The premier episode of Being Human Series 4 received 593,000 requests in February, and the first episode of the comedy series Pramface, co-starring Yasmin Paige, received 389,000 requests, making them the tenth and 17th most-requested episodes per series of that month, while in March, episode 2 of Pramface received 541,000 requests, Being Human Series 4 episode 7 had 403,000 requests, and the first episode of Dirk Gently received 343,000 requests, making them the ninth, 13th, and 20th most-requested episodes per series of that month respectively. The film version of Douglas Adams's The Hitchhiker's Guide To The Galaxy, co-starring Bill Bailey, got 349,000 requests when it aired in March. Finally, April saw the film Kidulthood, written by and co-starring Noel Clarke, get 342,000 requests. Monthly performance packs have not been published by the BBC since December 2011. They will return to a monthly publication schedule from next month, said the corporation. Total requests between January and April this year averaged around 190 million per month, with more than 140 million for TV and around 46 million for radio programmes - up by 24 per cent on the same period last year. There was a massive increase in requests from mobile and tablet devices. These went up by 94 per cent on April 2011, with 15 per cent of total programme requests coming from mobiles and tablets in April 2012. 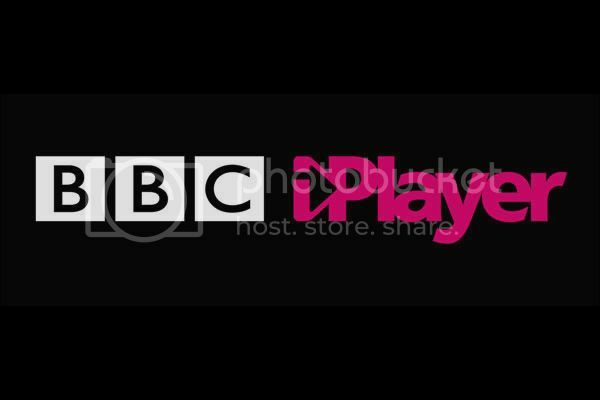 Apple announced that the BBC iPlayer app for iPads was the top free app of all time in the UK. The BBC also reported that demand from internet-connected devices such as Smart TVs, games consoles, and Blu-ray players had continued to grow, with 11 per cent of all requests in April 2012 – up by 57 per cent on April 2011. The full breakdown for January to April 2012 is available as a PDF here. It'll be a version of it, because that's the one in which [Sherlock] returns. How much or how little [we change], I don't know yet. As before, we cherry-pick and we choose bits and pieces of other [stories] that we like. They're always less literal adaptations.